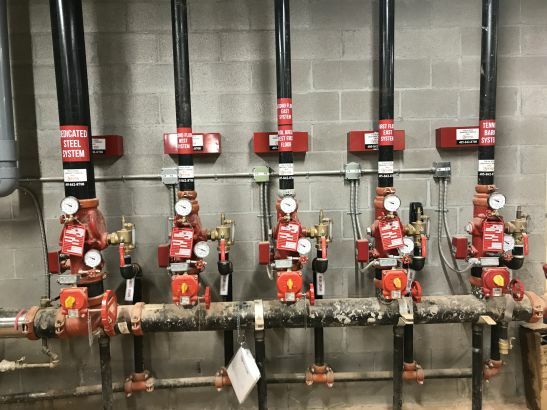 FPS Technologies is an Oklahoma-based fire protection and safety consulting firm that originally focused on the inspection, testing, and maintenance of Sprinkler Systems and Pre-Engineered Systems. Globe's Universal Manifold Check (UMC) has enabled it to aggressively grow the new construction portion of its business by stacking risers and 'getting out fast'. “Our riser rooms are our signature; a point of pride. The Globe UMC helps keep our installations clean, tight, and neat," said Kris Pettigrew, CET, President of FPS Technologies Inc. "I like the quality of the product and the value it delivers. We can’t beat the simplicity of the UMC installation." The UMC is designed with value engineering in mind with features including its removable cover plate. Servicing the UMC is simple and gets the floor control system quickly back online. Contractors don't have to be concerned about missing a component when placing an order due to its all-in-one design. “It’s good to work with a manufacturer that’s coming up with new ideas, and with a distributor that gives us the local service and support I need to keep my company growing," said Pettigrew. Find out more by reading the case study.